It has also an FTDI-connector and runs with a 16 MHz resonator, which makes it Arduino compatible. The jumper is used to select between different power sources. Yikes, SMD soldering. This is my first attempt at hand soldering 1206 SMT components. 1206 is only 3.2 mm Ã— 1.6 mm! But these are about the largest SMT components available. Most commonly used are way smaller, 0805, 0603 or 0402. 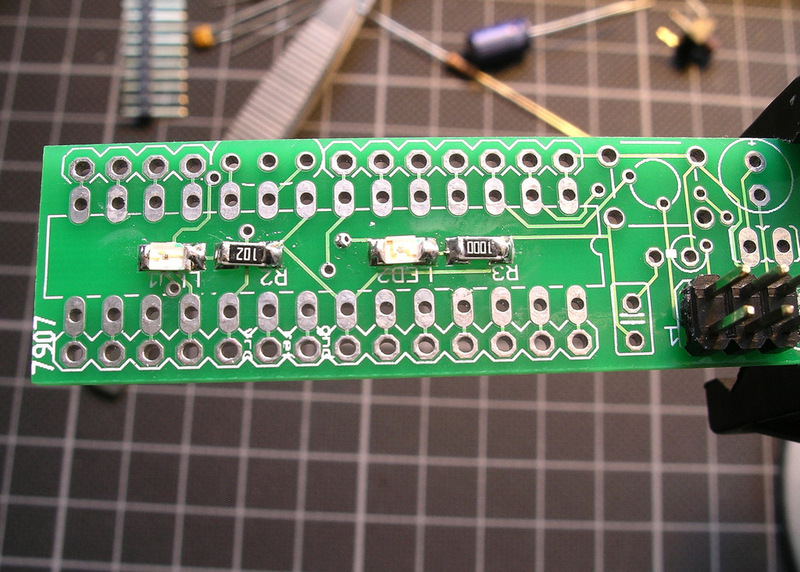 My soldering still looks ugly, but with a bit of practice I think I can do much better. The space on the board is a bit limitted, so there is no room to mark all pins. That’s why I have a little cheat sheet around, while wiring things up. This is great. 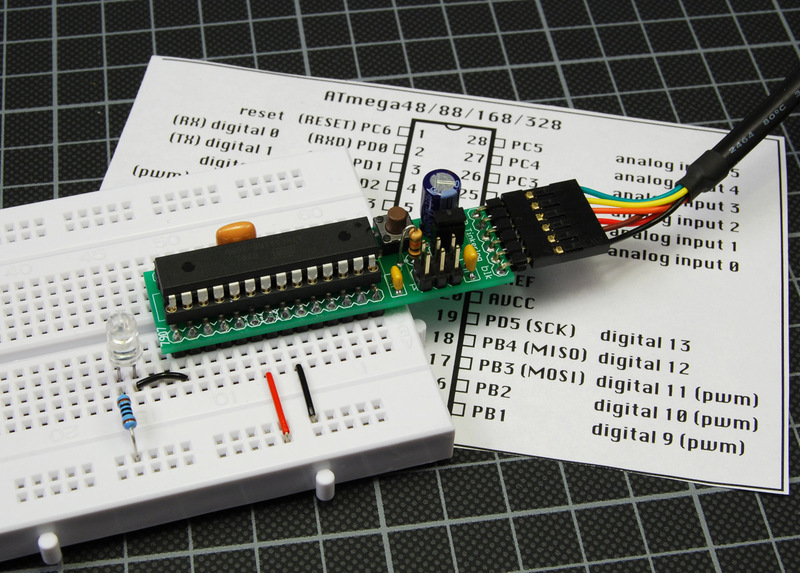 I wonder if you could make a tiny pinout cheatsheet sticker that goes on top of the mega328? Yeah, that would be cool. But I think, you would have to decide which you want, Arduino or ATmega pin naming. There was still a small bug in the PCB. So another proto run. I think maybe around end of next month. The LEDs are under the processor? Do you look at them through the gaps between the pins? Yes, they are. They shine thru the pins. You should post your cheat sheets, I know I for one would find it very helpful. Cool solution for quickly testing out some logic !